My mom and I just came back from the IHM National show and it was a great trip! 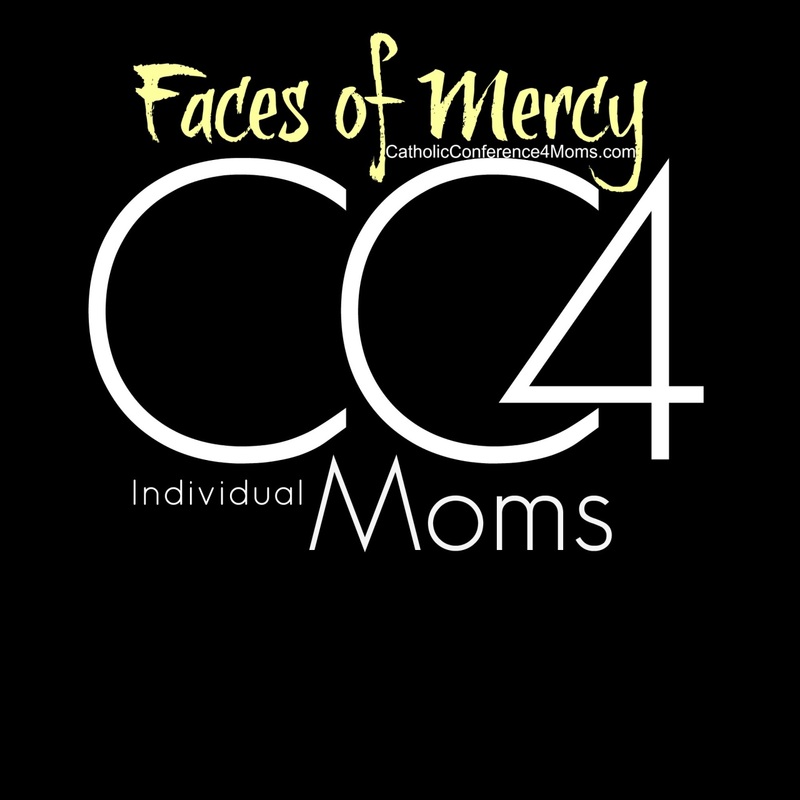 The Catholic Conference 4 Moms is an online conference for this coming Year of Mercy, particularly catered to moms. It is set up so that Moms’ groups or parishes can use the presentations to put together their own simple conference/retreat/mom’s day out. So far, we have about 25 parishes all over the US hosting the conference. But, starting January 20, we are opening it up for individual moms to attend at their own convenience in their own homes throughout the rest of Lent. Unpacking from World Meeting of Families! We attended the World Meeting of Families with just two of our kids…but our #WorldMeetingofFamilies got cut short! The Secret Service closed the Vendor Hall down a DAY EARLY for the safety and security of Pope Francis! We just returned from the New Evangelization Summit in Ottawa with Dr. Scott Hahn, Fr. Michael Gaitley, Dr. Ralph Martin, Fr. James Mallon, Patrick Coffin and many others. This wonderful event was organized by the Mission of the Redeemer, founded by Michael Dopp. While the event took place in Ottawa, Ontario, the talks were broadcasted to 20 Satellite sites across North America! Welcome Visitors from the National Catholic Education Conference 2015! If you’re not attending…check out our Catholic Printables Gallery! We have about 50 Catholic and Family Fun Printables! 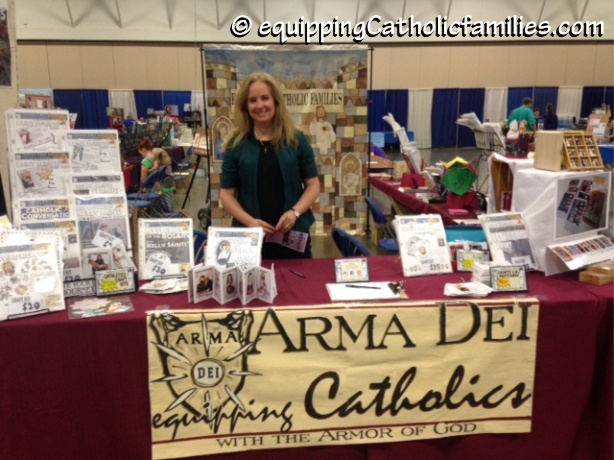 2015 Catholic Conference 4 Moms: 27 talks + Spiritual Resources! How many of the AWESOME talks were you able to watch last weekend from the 2015 Catholic Conference 4 Moms? I managed to only see about 6 of the 27 awesome talks…but my FAVORITE was The Culprits that Steal a Mom’s Joy and How to Avoid them” by Stephanie Wood Weinart. Did you hear it? Hello from the Catholic Marketing Network Tradeshow! I’ve got great helpers at our Arma Dei: Equipping Catholic Families booth at the Catholic Marketing Network Trade Show! SHORTCUT to FREE Cathletics Craft Kit Sampler! Please make sure that you are subscribed to Equipping Catholic Families or you have liked Arma Dei: Equipping Catholic Families on Facebook! Building the Catholic Resources Directory: are you with us? 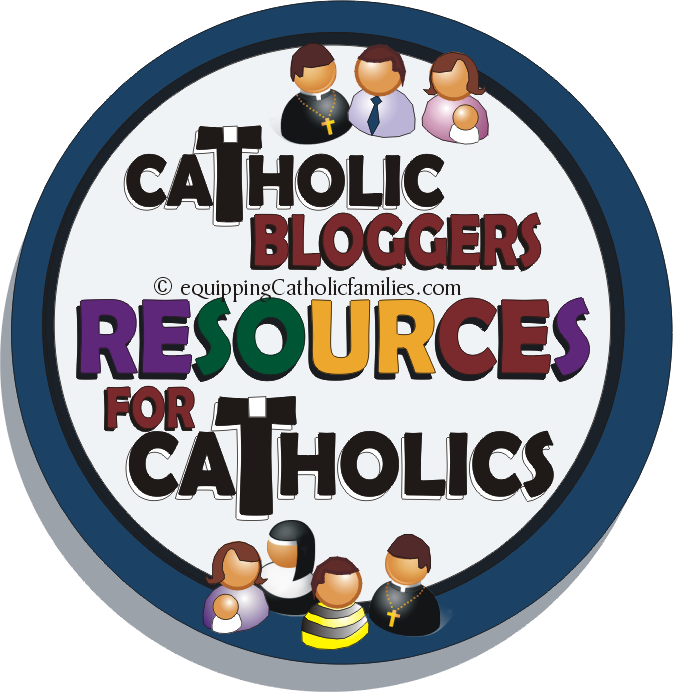 Do you have a Catholic Blog with resources for Catholic families, homeschoolers and teachers? 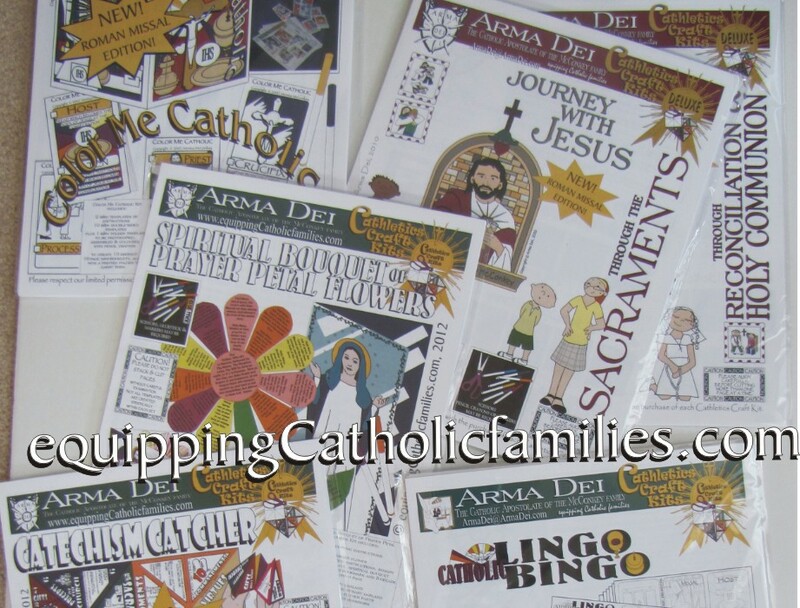 Do you offer printables to help teach the Catholic Faith? 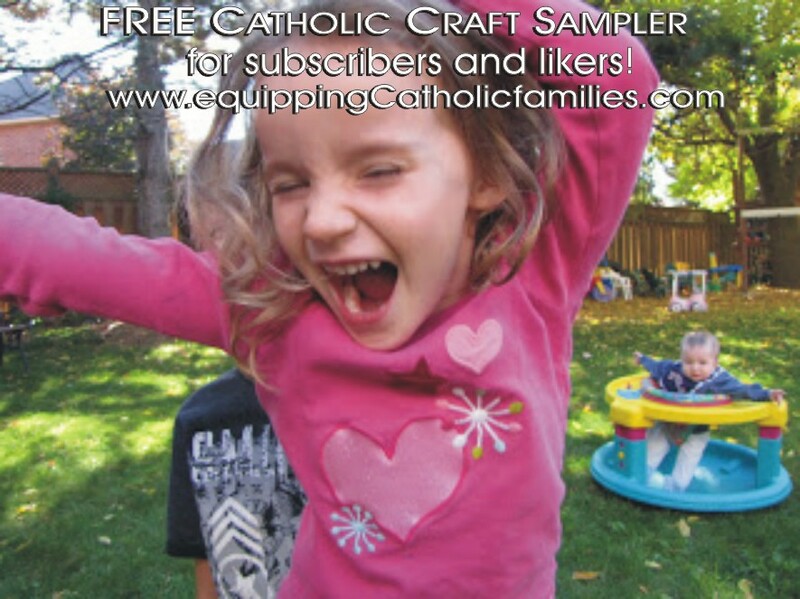 Do you offer Catholic craft tutorials? Do you want to reach MORE Catholics? Just attended the NCEA…the National Catholic Education Association conference in Boston! As always, I discovered some great products and awesome Catholic initiatives and wanted to add them to my list of Fabulous Finds at Catholic Conferences.